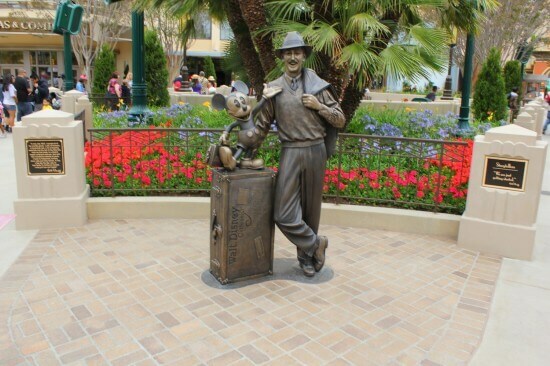 The recently-completed renovation of the Disney California Adventure theme park at the Disneyland Resort centers around the notion of bringing more “Disney” to the park that previously lacked such a connection. 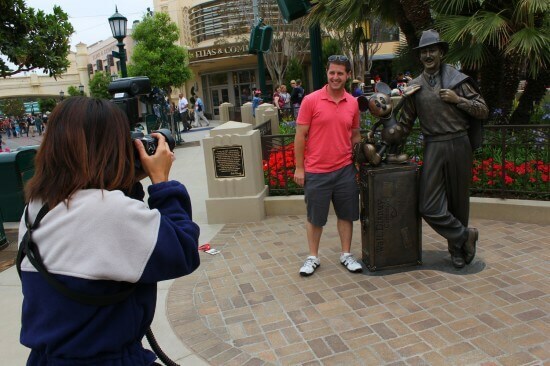 Imagineers reinvented the park’s entrance as the new Buena Vista Street, with tributes to Disney’s past that tie into the ’20s / ’30s theme of the area. 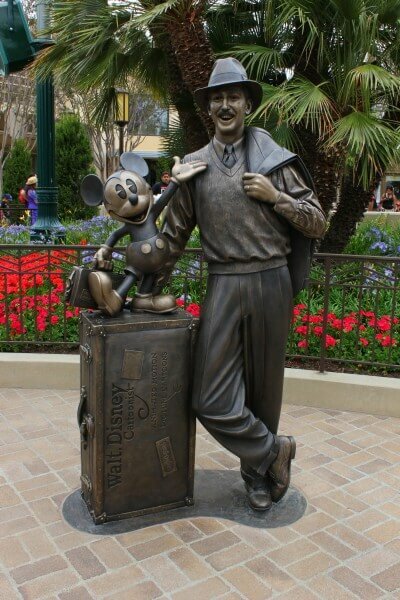 The ultimate link that brings the true essence of Disney into the revitalization of the park is Walt Disney himself, with the park’s new underlying theme telling the story of when Walt first arrived to California. As seen above, even Disney / Pixar’s chief creative officer John Lasseter and Disney president and CEO Bob Iger took the time to honor Walt Disney on Disney California Adventure’s grand reopening day by posing with the new statue. “Storytellers” resides in Carthay Circle, at the end of Buena Vista Street, directly parallel to its Disneyland counterpart. 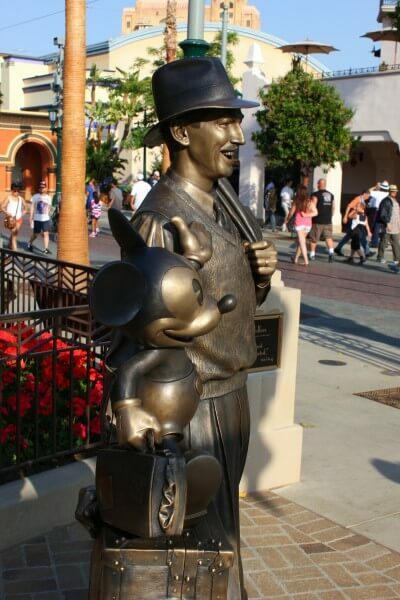 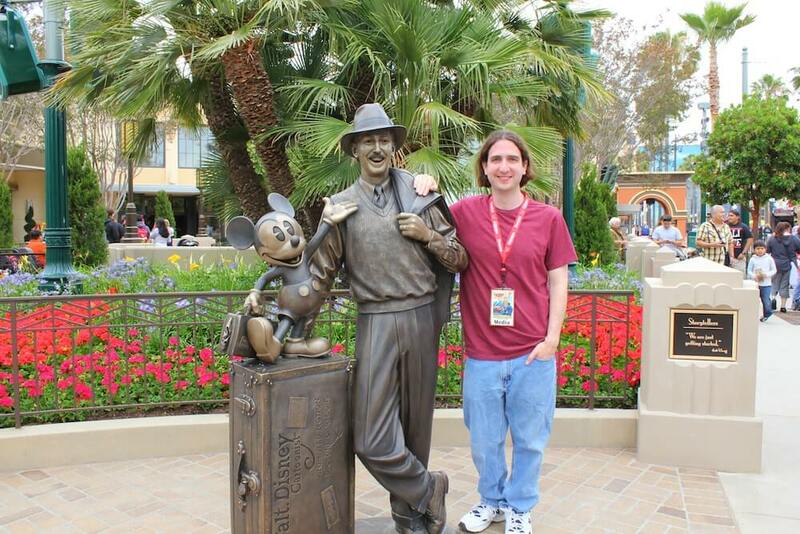 Two plaques are posted on both sides of the new statue, adding meaning for those who are curious why Walt Disney is seen casually dressed, wearing a fedora, and leaning on a suitcase. 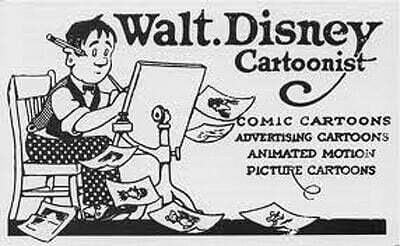 Before the days of “Snow White and the Seven Dwarfs” and long before Disneyland was ever a thought, Walt Disney was a cartoonist, with a history of creating artwork for a variety of organizations before going into business for himself. 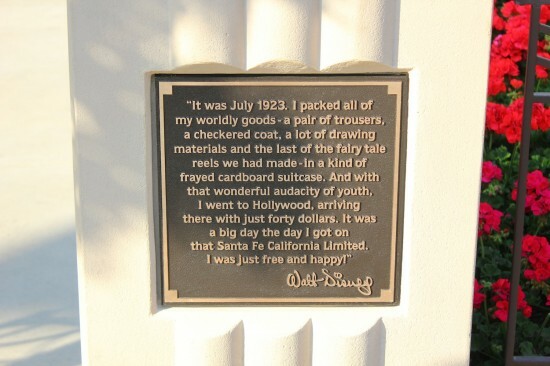 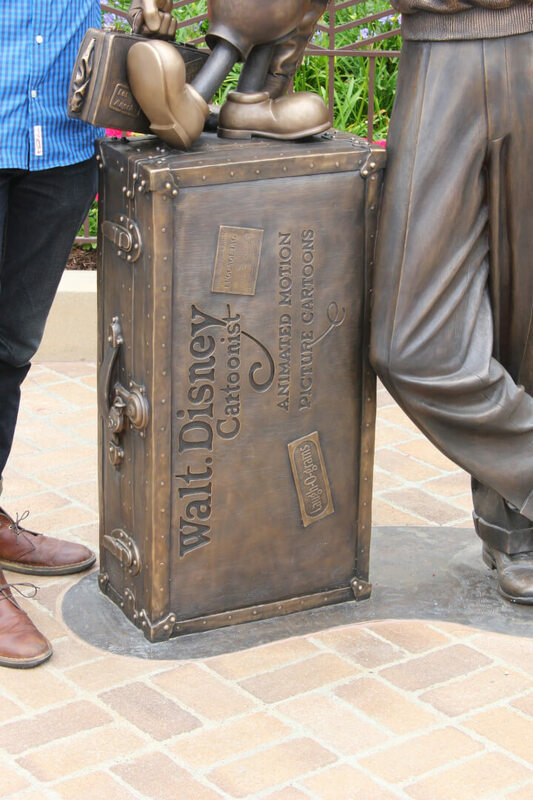 The design on Walt’s suitcase for the “Storytellers” statue mirrors that his business cards. 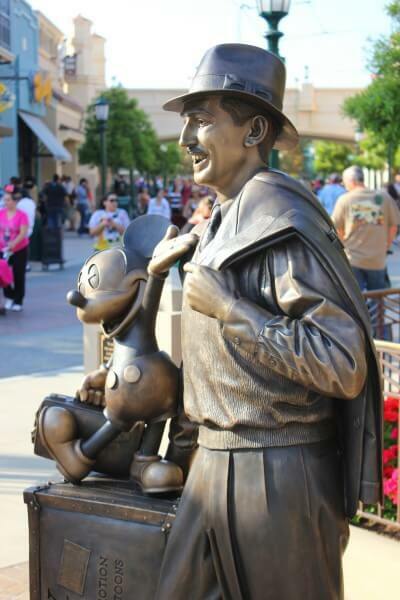 But seeing the full-size “Storytellers” statue up close for the first time at eye level is an emotional moment for many a Disney fan, the closest today’s generations of fans will ever come to meeting Walt Disney. Though Mickey Mouse is often the star of Disneyland, on Buena Vista Street at the “new” Disney California Adventure, guests are quickly reminded that while it’s been said it all started with a mouse, it truly started with a man – and a dream. 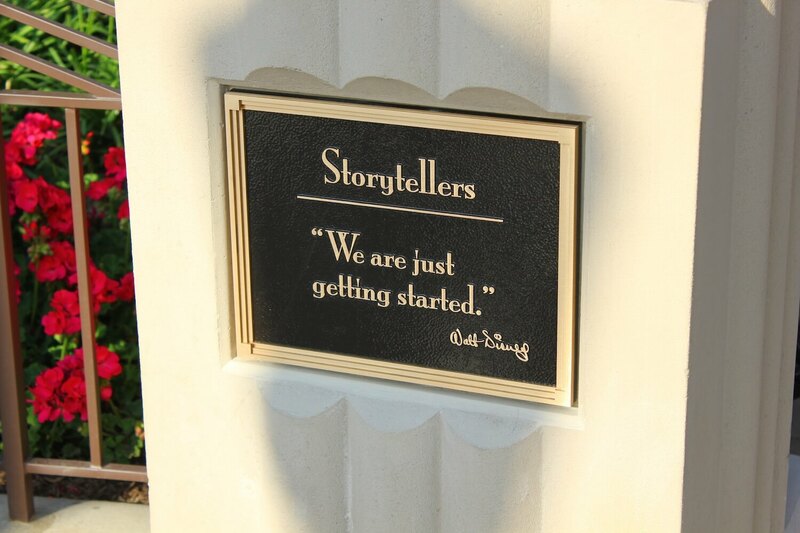 Hi, yeah this piece of writing is in fact pleasant and I have learned lot of things from it on the topic of blogging.